Royal Caribbean International is rolling out the red carpet in honor of the May 26 world premiere of DreamWorks Animation SKG Inc.’s film “Kung Fu Panda 2” with 3-D movie viewings, a family-themed promotion and special onboard programming throughout the summer. Allure of the Seas, Oasis of the Seas, Freedom of the Seas and Liberty of the Seas will show the 3-D movie from June through August while it is still in movie theaters. The cruise line will host red-carpet premieres on June 4 on Oasis of the Seas, June 5 on Freedom of the Seas and Allure of the Seas, and June 18 for Liberty of the Seas. Ample viewings of “Kung Fu Panda 2” will take place throughout each sailing onboard. In conjunction with the at-sea premiere of “Kung Fu Panda 2,” the global cruise line will launch “Pandamonium,” a summer promotion for families. The package is available onboard four Royal Caribbean ships that feature the DreamWorks Experience and includes VIP seating at one of the onboard “Kung Fu Panda 2” premieres, meet-and-greets with DreamWorks Animation characters, two soft drink packages, two cupcakes from the Cupcake Cupboard, a complimentary family photo, and a chance for guests to build their own Pets at Sea plush animal. The “Pandamonium” package can be booked using the promotional code YNOTxxPO. Availability is limited. As an extension of the DreamWorks summer programming, the Oasis-class ships will hold Boardwalk family festivals three to four times per sailing through the end of August. Guests are invited to the Boardwalk to get their faces painted; see live performances by stilt walkers, marching bands and DJ’s; watch themed circuses and balloon artists; and participate in kids’ activities. 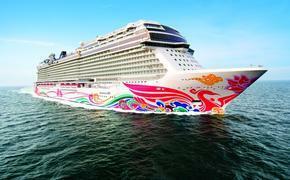 For more information, call 800-327-2056 or visit www.cruisingpower.com.